With Superbowl Sunday coming up this weekend (hollah chili, hotdogs, pulled barbeque chicken and pork, sausages, fried chicken, corned beef...well really, any grilled meat will do! ), what better way to get some VEGE in than by eating and learning about COLESLAW! I had a very special guest with me today - Meet Charlotte, the Assistant Farm Manager from Prairie Wind Family Farms! She spoke to the kids about how much fun her crew team has together when they harvest cabbage from the fields. It was certainly some "catchy" food education to pair up with Superbowl food conversation... Sign us up for some cabbage football! The kids are getting pretty excited to talk about the new food adventures we're going on! This is one delicious, sweet slaw folks - Get your kids in the kitchen! What could you have them do? For older kids, teach them safe knife skills and have them help you chop up the vege. Younger kids can be taught to safely cut with a pairing knife. It's ok to have vege that's different sizes! All ages love to measure and whisk up the wet ingredients in a bowl - Pump up those math skills! 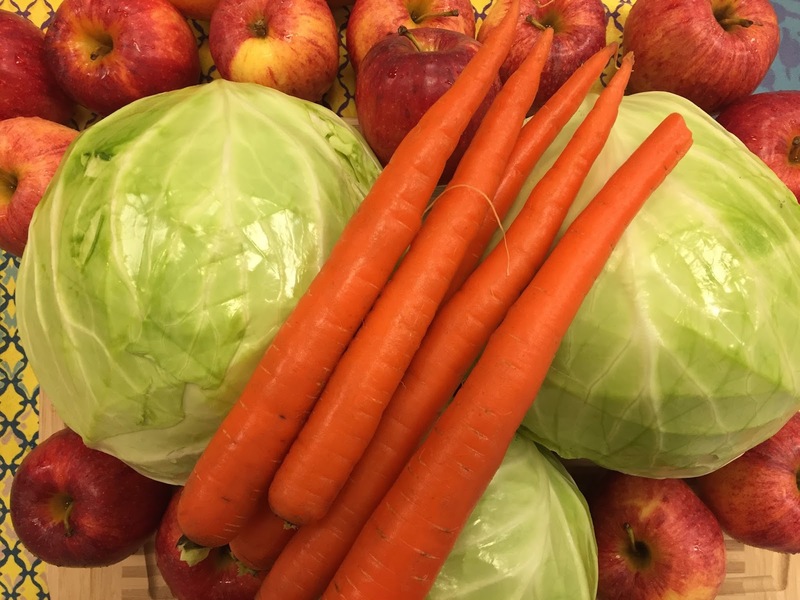 Skoop and the Chef Ann Foundation Organization teamed up to launch the Project Produce Grant Program which awarded Diamond Lake District 76's West Oak School $2500 in funds to help give all students access to more fresh produce and food education during the school day. The students were inspired to pair it up with their chili today in the lunchroom; Many had never thought to combine the two before and it was really fun to watch some of the students taste test! Thanks Preferred Meals - What a perfect pairing! Finely slice (using a knife or food processor) the cabbage, carrots and apples. In a separate bowl combine the vinegar, mayo, honey salt and pepper and whisk to combine. Combine all ingredients together in a large bowl until fully incorporated. Taste and add more salt or pepper if needed. Refrigerate for at least an hour and serve. It's hard to believe I posted last Sunday fun-day from Jackson Hole, Wyoming! The food + ski scene was ridiculous and now it's back to reality! I did manage to cook one night after we got back home. Post vaca cooking re-entry is rough like bear claws on a chalk board. This chicken tray bake is my very favorite to make. 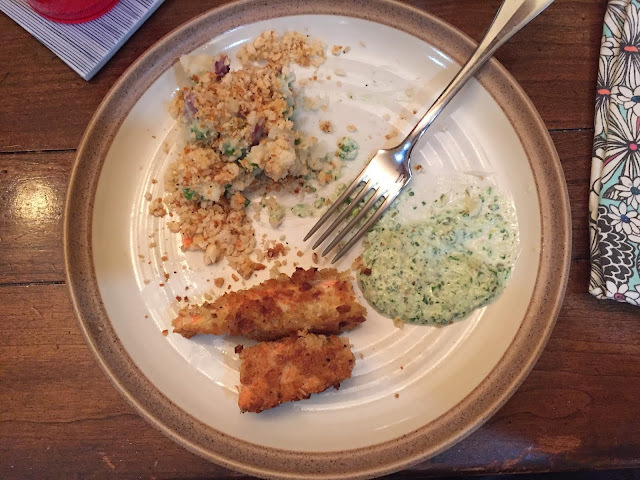 I have linked a Jamie Oliver recipe in my recent "Ask a Chef" blog post with Advocate Healthcare and here is another recipe right here. 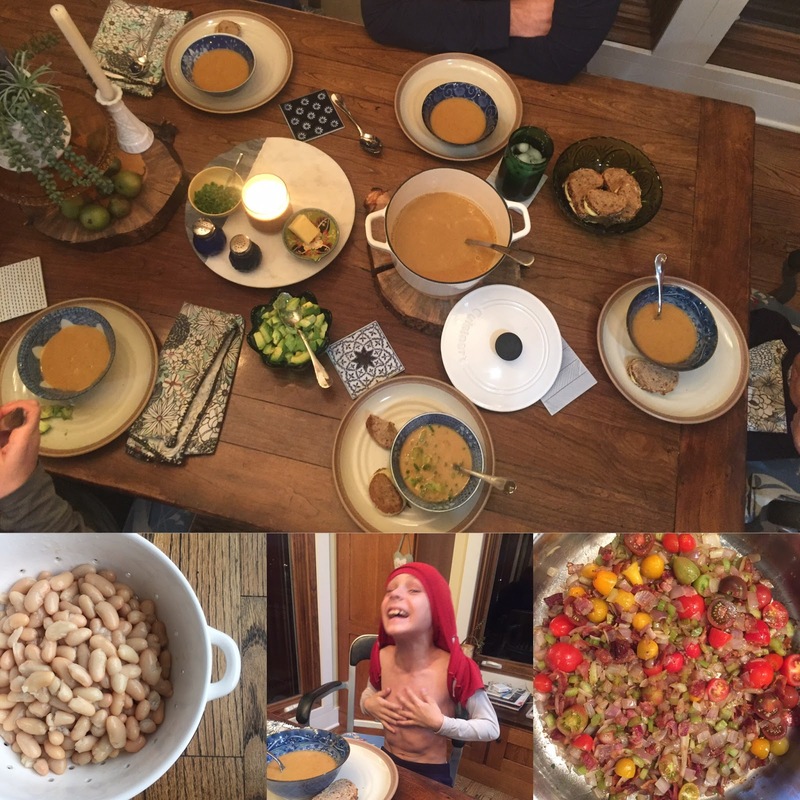 I hope you enjoy the Q&A and be sure to let me know if you try these recipes out! As you can see, I added all sorts of vege to mine. *Note: The listed/linked recipe name corresponds to the Jamie Oliver Ultimate Recipes App (unless otherwise specified) to help me stay organized; However, the actual link may be different IF I was unable to find his app recipe online (which often happens to make the app special!). Probably adding peas and cauliflower to it. Blend all ingredients together in a nutribullet or high speed blender. Option: pour into popsicle molds and freeze. *Here is a handy conversion link for the online euro measurements (the app uses USA measurements). *If possible, buy antibiotic free meat (Here's why I try to know where my meat is coming from). *Use the EWG "Clean Fifteen + Dirty Dozen produce guidelines to save money + reduce the pesticides and herbicides on your plate. *Avoid artificial colors and preservatives - Check your labels, grocery stores have clean brands for you and your family. More guts more glory! Here are my favorite spots from the J-Hole. We were blown away by the friendly locals, the epic food scene and the whole experience has really inspired me at home! The Snake River Brewing Company was the first stop as soon as we got into town - Thanks for the suggestion Alex!! We tasted every beer at the food was equally delish! A Cafe Genevieve omelette (we are so happy we dined here for our first delicious breakfast). Bin 22 - Super cool - Grab a wine bottle from the store (no corkage fee + crazy good wine selection) and pair it up with gorgeously prepared small plates. They make their own fabulous mozzarella!! The Handle Bar (The Four Seasons) = amazing K12 grub. Can you tell which plate is mine? Those truffle fries were among the best I've ever had and Chris' Bison nachos were beyond good. Lane Meyer would be proud. Sitting pretty under my red and white kitchen twine, are my gorgeous new Persephone Bakery napkins I brought home... I like to imagine I'm still there eating and sipping coffee... The owners are former Chicagoans! No wonder it was my favorite place;) French food + design LOVE!!!! The Organic Lotus Cafe - Words won't do the food + design justice, so I won't even try. Welcome back my little unicorns - It's Sunday Fun Day! Here's the STORY behind my #SettheTable2017 food adventures with Pure Barre Kildeer. 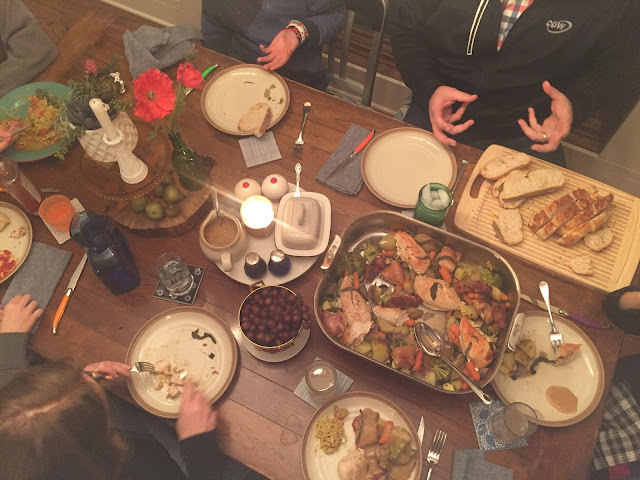 Each Sunday meal plan post begins with a picture recap of the week before (Who knows what may have happened to the plan!) followed by the upcoming week's game plan. #CatchmyGrit on my Instagram stories throughout the week to capture the fun, the food and the family table reactions (good and bad) - See you there! I added three portabella mushrooms and an onion to the 1 lb of grass fed beef - nobody had a clue and it was so good. Link back to week #2's meal plan recipes here. *Note: The listed/linked recipe name corresponds to the Jamie Oliver Ultimate Recipes App (unless otherwise specified) to help me stay organized; However, the actual link may be different IF I was unable to find his app recipe online (which sometimes happens). Make pasta and garnish with salt n pepper, parmesan cheese and organic butter. Toss in as many steamed frozen peas as you want. *Avoid artificial colors and preservatives - Check your labels, grocery stores have clean brands for you and your family. Found at Target. Love your guts. Local creamed cinnamon honey from Leiders. Wash cut and serve. It was that easy. The students couldn't get enough. Not many teachers or students knew that one could eat the peels of the kiwi's. I didn't know myself until a few years ago... I'll never forget when my Mom told me... Really? Hairy, brown skin = edible!? Did you know the Kiwi Fruit originated from China 600 years ago and was named "Yangtao"? Did you know that the Yangtao was then imported to New Zealand and renamed "Chinese Gooseberry"? In 1962 it was finally imported to America and renamed the "Kiwi Fruit" in honor of New Zealand's national bird, the "Kiwi". 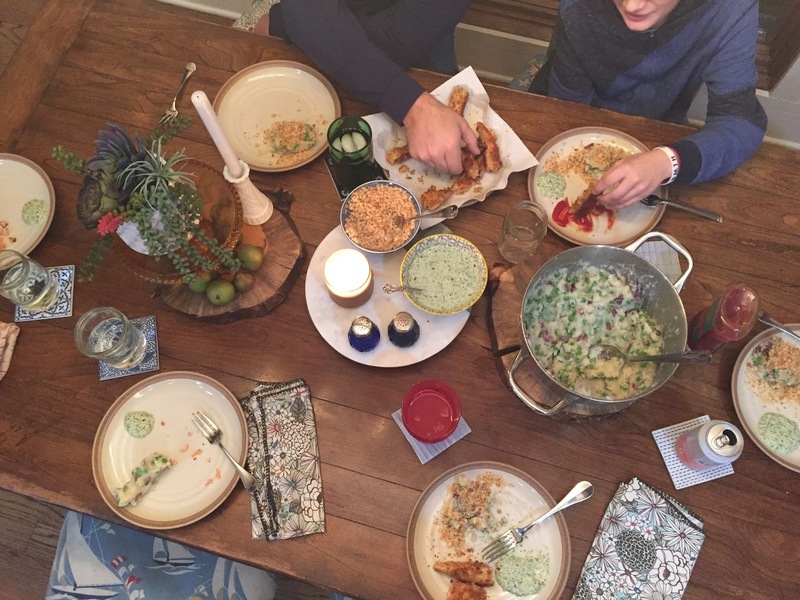 We're having so much fun with these Chef's Tasting Table Days! Skoop and the Chef Ann Foundation Organization teamed up to launch the Project Produce Grant Program which awarded Diamond Lake District 76's West Oak School $2500 in funds to help give all students access to more fresh produce and food education during the school day. It's so fun to experience the growing excitement in the lunchroom with every visit. Welcome back - It's Sunday Fun Day! Each Sunday meal plan post will begin with a picture recap of the week before, followed by the upcoming week's game plan. #CatchmyGrit on my Instagram stories throughout the week to capture the fun, the food and the family table reactions - See you there! Link back to Week #1's meal plan here. Add in any leftover chicken fajitas. Replace ricotta cheese with organic cottage cheese (My Mom's epic trick!). Use gluten free no boil lasagna noodles + a layer of thinly sliced zucchini. Or swap noodles out completely with zucchini. Shhhhhh. No Bake Chocolate Chip Fastballs - Hit "clean up" with the perfect "fast" fuel! Mix all ingredients in a large bowl and form into 20-25 balls. Refrigerate for about 30 minutes to harden up. Store in sealed container in refrigerator for up to 1 week (if they even last that long). *Here is a handy conversion link for the online euro measurements (the app uses US measurements). *If possible, buy antibiotic free meat (Here's why I try to know where my food is coming from). Turn up the music, it helps to take my mind off my burning buns. I'm thrilled to be social media contributer and blogger this year for Pure Barre Kildeer, one of my very favorite place to stay in shape. As we resolve to "Set the Barre" together every week, I'll be posting with PBKD to help us "Set the Table." I wear one of them most days. Sometimes both at one time. When I take a day off. The very best adventures go up and down. An inspiration recipe for a meal + snack on Pure Barre Kildeer's Instagram + Facebook. A weekly "Set the Table" meal plan (3-4 meals) here on the mullies. I'm kicking it off by using my Jamie Oliver Ultimate Recipes App ($6.99 - iPhone or iPad) to help me get organized. I love his recipes (There's over 600 recipes included + Lots for Vegan and Vegetarians too). It generates an amazing shopping list (which allows me to add other random items...). It's super easy to navigate. There are sweet tips and video tutorials on how to prep + cook more efficiently. I'm into good, clean nutrition. Join me on my Instagram page for additional stories, videos, and pics to #CatchMyGrit and groove along in our #SetTheTable2017 adventures. Will I be able to cook all the recipes planned each week? And I will begin again every week. Tweak and make it better. Repeat favorite meals & plans. *Note: Each recipe is linked for easy online access (whether or not you are using the app). The listed recipe name corresponds to the app title for easy searching; However, the actual link may be different if I was unable to find Jamie's recipe app online. Make crispy quinoa instead of rice. 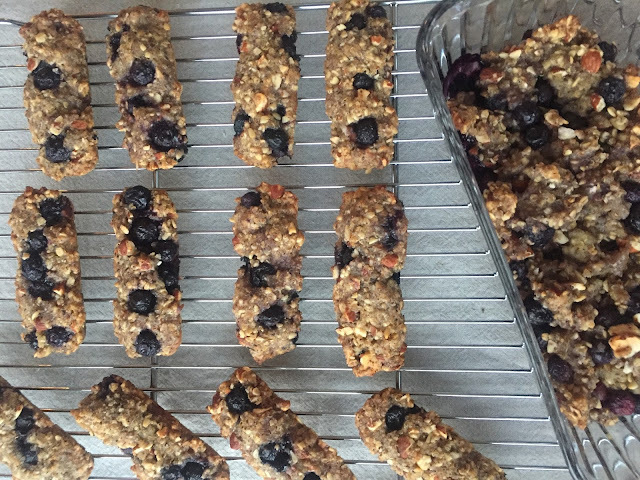 Save 1.5 cups of quinoa for the blueberry bars (recipe listed below). Can't find Cardamom pods? I couldn't either. I found whole seeds though. 10 pods = 1.5 tsp of ground cardamom (thanks google). I improvised on the pomegranate - No luck at the grocery store so I thawed out some berry mixture (that I use for smoothies) instead. Store all leftover chicken and chicken bones. Need to cheat this week? Buy a rotisserie chicken and don't worry about it. Add in a side of green beans (Here's Ina Garten's awesome recipe). 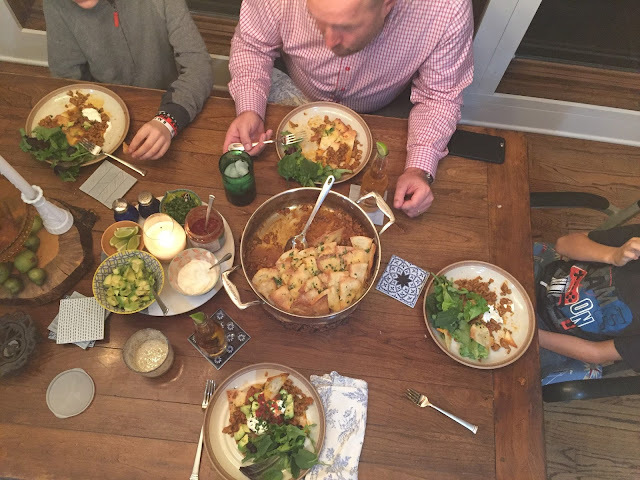 Give my family table the option of nachos or tacos (This recipe is super similar to the one I make almost every week). Add in a simple green salad. Dice up any leftover chicken and add to the taco mixture. Taco Tuesday will be here every week until further notice. My kids really look forward to this day and it's so fun to have weekly themes! Use the leftover carcass to make a stock. You can also pop this in a slow cooker and it will be ready when you get home! Make some garlic bread or grilled cheese for dipping! It's a "bridge" food to get my kids to eat soup! I puree my soup completely (My eaters do not do "chunks" yet). And add extra sea salt to taste!!! Super important!!! Make sure to garnish with extra bacon and we also have cubed avocado on the side. I used a package of "everything bagels" in place of the ciabatta bread and it worked like a charm! I toasted them up open face in a 400 degree oven for about 10 minutes (let cool before processing into bread crumbs). *Buy Antibiotic free, organic, grass fed meat if possible (Here's why). *Use the "Clean fifteen + Dirty Dozen" produce guidelines to save money and reduce pesticides and herbicides. Great for on the go snacks or breakfast! Preheat oven to 350 degrees. Mix all ingredients up in a large bowl. Place in a shallow casserole dish, a small cookie sheet, muffin cups or a granola bar pan. Cook 25-30 min or until middle of mixture springs back/is muffin firm to touch. Let cool and cut into rectangles or squares. Keep in the refrigerator. *The pictures have no chocolate inside. Thanks Mom for suggesting I add them in! 13 Favorite Meal Prep Hacks. Hate grocery shopping, hate meal planning but want to cook from scratch more often? Check out Hello Fresh or Blue Apron!